SCHAFFHAUSEN, Switzerland – September 30, 2016 – TE Connectivity (TE), a world leader in connectivity and sensors, today announced the completion of the previously announced acquisition of the Intercontec Group. TE is now starting the integration process and has appointed a new general manager, Peter Van Loo, formerly the general manager of TE’s Industrial Rail business, to manage the transition. Intercontec is a manufacturer of circular metric connectors. Founded in 1996, the company has headquarters in Niederwinkling and four production plants in Germany. 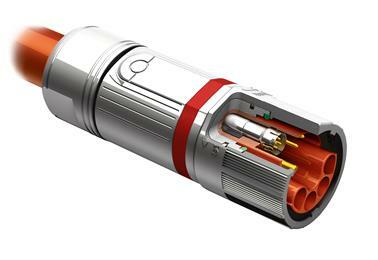 Intercontec has an established reputation as an innovation leader in hybrid connectors, quick lock systems, rotatable servo-side connectors, and reliable electromagnetic compatibility (EMC) and ingress protection (IP) performance. The acquisition represents an important step in TE strengthening its role as a full solution provider, particularly for factory automation and machinery customers. TE will broaden its harsh connectivity portfolio especially in industrial power and signal connectors with the addition of Intercontec’s complementary circular metric connectors alongside TE’s own circular and rectangular heavy duty connectors. Combining the capabilities of the two companies will accelerate TE’s ability to offer customers some of the most comprehensive products, technologies and services within the industry. TE Connectivity (NYSE: TEL) is a $12 billion global technology leader. Our connectivity and sensor solutions are essential in today’s increasingly connected world. We collaborate with engineers to transform their concepts into creations – redefining what’s possible using intelligent, efficient and high-performing TE products and solutions proven in harsh environments. Our 72,000 people, including 7,000 design engineers, partner with customers in close to 150 countries across a wide range of industries. We believe EVERY CONNECTION COUNTS – www.TE.com. TE Connectivity completes its acquisition of the Intercontec Group.